Do read it now, do that we can discuss! it’s an order! Interesting – this trilogy has been in my piles too for some time. I love your discussion points, but can’t join in as I haven’t read them yet – but will bear in mind when I get to them! I’ll be here when you’re done! I really enjoyed this one too. I learned about it in a Wall Street Journal article (it may be the only book I’ve targeted via that route). I liked how *spoiler! * “IT” is ‘the villain’, much like like in real life! Well, my real life. 🙂 I’ve been forming a hypothesis for some time now that the IT savvy and the non-IT savvy will become the REAL future’s version of Wells’ Morlock & Eloi. I see evidence of this on a daily basis at work and it concerns me. I’ve also pushed this book on many friends, some reluctant to read it because it seemed ‘too long’ or whatever. I’ve heard no complaints from anyone so far, though. A few have read the other books in the series now too. 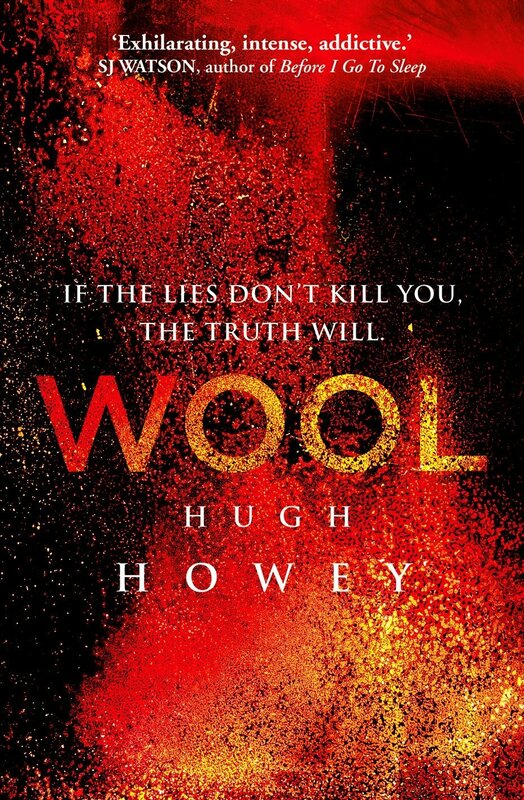 I’ve heard also there is a graphic novel version of the wool omnibus in the works. I’d like to see that. Oh, and regarding one of your questions, maybe IT has replaced religion, or become its own form of religion. Or the rituals of the silo have replaced religion. I guess religion being “missing” was not something I thought much about when I was reading it. The thing that bugged me most was that we never really found out what happened out there. After so many pages, I was really bummed not to have that answer. I asked the person who recommended Wool to me about why it is marketed to adults and not young adult when I finished it because I felt the same way as you. She said that she felt the concept of knowing the (painful) truth versus living in ignorance was too sophisticated for YA, but I don’t think that’s necessarily true. Certainly the Hunger Games muddles with illusions, smoke and mirrors, etc in its presentation of the Capital and the Captail’s views of the districts. I wonder, though, if its because the characters aren’t as easily identifiable with. I mean, everyone who has read Harry Potter has wondered what house they would sorted in and I know so many young tweens who want to be Katniss Everdeen. I was really surprised at the mention there was organized religion in the silo. It seemed like it should have been co-opted by IT if not a source of resistance for people in the silo. On your final question, I didn’t listen to the audiobook but I thought the villain was written a really over the top manner. I kept waiting for the villain to twirl their handlebar mustache so the audiobook narrator sounds like they were reading the character exactly how they were written. We have a query with the article, where am i able to e-mail the person responsible? I finished the first volume in this book and have been paused in the second volume (or third?) for quite a while now. I’ll get back to it one day, maybe when I take my e-reader with me on vacation this summer. I do really like Jules so far, though I miss the other mayor.